Each year, PetSmart Charities gives out grant money to rescues that host adoptions in their stores. 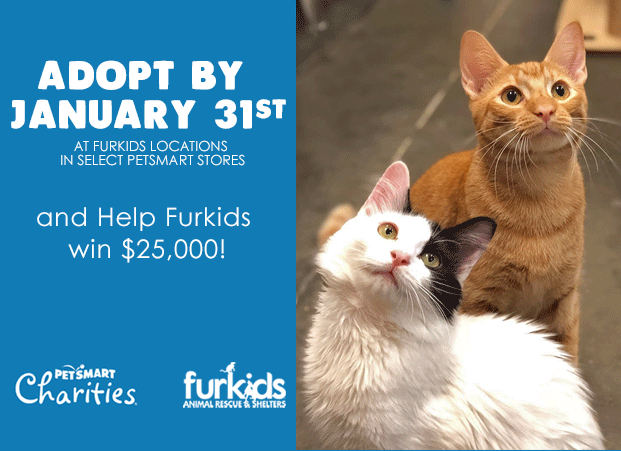 Furkids is just 64 adoptions away from completing 1,000 PetSmart adoptions and earning a $25,000 grant! If you are interested in adopting a cat, please visit our PetSmart locations. We have cats, kittens, a little bit of everything - you can scroll through and see just a few of them below. If you can't adopt right now, please share this post to spread the word!